AMD (NASDAQ: AMD) released two models of its highly anticipated, Ryzen™ Threadripper™ high-end desktop processors, AMD Ryzen™ Threadripper ™1950X and AMD Ryzen™ Threadripper™ 1920X. During an already record-setting year for the company through the successful launch of several award-winning Ryzen™ desktop processors for the AM4 platform, today's release of Ryzen Threadripper marks a major step forward in performance and features for the high-end desktop market, with the new processor exceeding the expectations of even the most demanding developers, researchers, prosumers, creators, and multi-tasking gamers. Built around the new AMD x86 "Zen" core architecture, Ryzen Threadripper delivers overwhelming power, unrestrained potential, and indisputable supremacy over comparable products in the market. 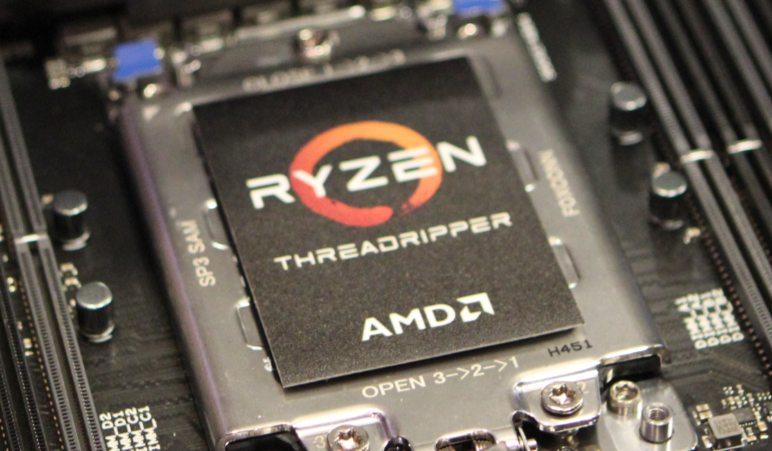 "The level of global support and excitement built-up around AMD Ryzen processors has been incredible to watch these last few months, and with today's Ryzen Threadripper launch, we deliver a new level of computing power to the world's fastest ultra-premium desktop systems via an entirely new platform and set of multi-core processors," said Jim Anderson, senior vice president and general manager, Computing and Graphics Group, AMD. "Ryzen Threadripper is the jolt of innovation that the high-end desktop customer was waiting for, providing the long-awaited ability to choose a processor that best fulfills their computing needs at a competitive price."